DECEMBER ALLIANCE GOES AHEAD IN TERRIBLE WEATHER!! On a warmish, windy and very wet Monday morning, pairings from 24 Clubs set off to play in the December Alliance. Many, I am sure were expecting and perhaps hoping that this fixture would be called off, as early morning it was so dark and the rain really heavy, but no, everyone turned up to play at the event taking place at Leamington and County Golf Club. 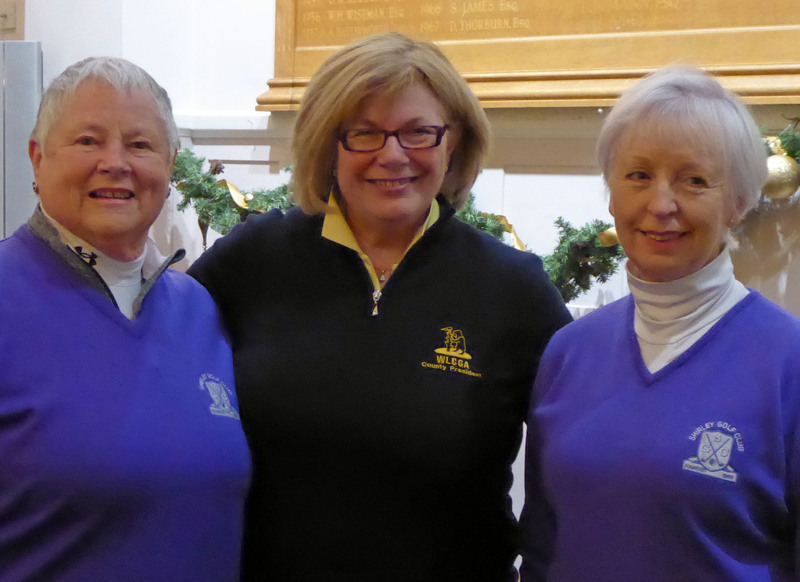 The format for the Alliance was Greensomes Stableford and the players were all delighted to be invited into the Ladies Locker room after 9 holes, where delicious mince pies, chocolate biscuits and coffee were provided by the Ladies of Leamington GC. What a welcome sight after being soaked through!! Fortunately, the second nine were played in much better weather and with the greens running very fast, sometimes over a very wet surface, everyone finished the round and went in for a well earned drink. Scoring was quite difficult, particularly over the front 9, which showed as only three of the pairings managed to record over 30 points. 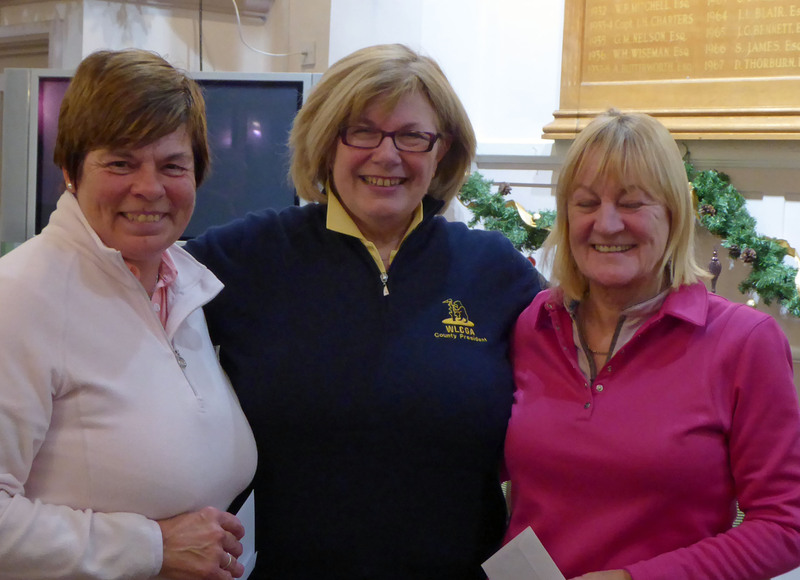 The Nuneaton pairing of Marsha BUTTON and Janet BURGOYNE came in with 33 points, closely followed by the pair from Shirley of Val BARKER and Val EVANS, with 32. A warm if belated welcome was given, firstly by Margaret SHEEPY on behalf of the Leamington Lady Captain and then by Club President Chris LEES who both stated that they were delighted to have hosted this event. Prizes were handed out by the new Warwickshire Lady President Anne PARRY in this her first event in her two year stint as President. Pictured (l to r) with Anne PARRY are: Marsha BUTTON & Janet BURGOYNE and Val BARKER and Val EVANS.